What Is Personal Liability and Property Damage (PLPD)? A common abbreviated car insurance term is PLPD. In many instances, the term is used without the knowledge of what the coverage is and how it pertains to the insured. “PLPD” stands for Personal Liability and Property Damage, and PLPD coverage is the bare bones legal minimum coverage in a lot of states. PLPD is an important part of every drivable vehicle’s insurance coverage. 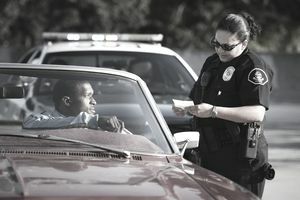 Knowing what PLPD is, beyond just what it stands for, can save you a lot of confusion and hassle if you are ever in an accident. A better understanding of coverage can also save you money on insurance. PLPD is sometimes broken down into two distinct categories of coverage: PL, the personal liability component, and PD, property damage coverage. For either type of coverage to kick-in, you generally have to be the at-fault party in the accident. Deductibles do not apply to either personal liability or property damage; however, if you are at fault in an accident, your insurance rates are sure to go up. But at least you will not have to worry about a deductible in a liability or property damage type of claim. Being negligent or at fault in an accident involving a vehicle makes you liable for the damages you caused. Personal liability can cover the other person's injuries, pain, and suffering if you are found to be at fault. Liability coverage is written as a fraction, like 20,000/40,000, on your insurance policy and is also referred to as Bodily Injury. The first number in the fraction is the maximum amount to be paid out per person. The second number in the fraction is the maximum to be paid out per accident. If multiple people are injured in an accident, it is first come first serve -- meaning whoever files a claim first has the first opportunity at the stated limits. It’s important to understand the maximums on your insurance card and what they will mean for the reality of your financial situation if you get into an accident. While the maximums are the ceiling for what the insurance company will have to pay, individuals that are injured as a result of your driving can also try to hold you accountable for more. Example: John is texting and driving, and he does not realize the light turned red. He rear ends another vehicle with four passengers. All four passengers sustained minor injuries. John's personal liability limits are 100,000/300,000. Each passenger goes after John's insurance company for $20,000 a piece for pain and suffering. Each is awarded a settlement because John was found to be at fault and the amount pursued falls within the guidelines of less than 100,000 per person and not more than 300,000 per accident. If the limits are exceeded, the claimants can go after John personally. Example: Assume a similar scenario as above yet John t-bones another vehicle going through the intersection. Four passengers are very seriously injured. John's personal liability limits are 100,000/300,000. Each passenger goes after John's insurance company for the maximum to be paid out of $100,00 for medical expenses and pain and suffering. The problem is, his policy will only cover up to $300,000 for the accident. Four people hurt each wanting 100k adds up to $400,000. It is just an example, and it could be worked out in multiple ways. The fourth injured party to file a claim could potentially be left with no chance to collect from John's car insurance policy. John does not have enough coverage to cover the damages and could possibly be sued and held personally responsible. Need higher limits? Check into an umbrella policy. Michigan has different rules regarding injuries. If you cause damage to property with your vehicle, such as another vehicle, street sign, mailbox, or anything else for that matter, coverage will be provided under property damage. Accidents do happen, so property damage is included in all vehicle insurance policies. The coverage is typically displayed right along with personal liability 100,000/300,000/100,000. The last 100,000 is the property damage limit. Example: John hits a patch of ice and slides into a parked vehicle on the side of the road. Damage to the parked vehicle will be covered under the property damage coverage on his car insurance policy. The vehicle will be repaired with no deductible. Anyone that is taking the time to read through their insurance policy is at risk of getting a headache. Industry jargon and complicated phrasing make looking through a policy nearly impossible for an average driver. If you are not dealing with insurance terminology on a daily basis, it is extremely tough to stay on top of the legalese. But now, next time you hear the phrase PLPD, you'll know exactly what the coverage is and how it protects you.